Head of the Foro Penal non-governmental organization Alfredo Romero said that a total of over 2,300 people were detained in Venezuela since the start of the opposition protests in April. 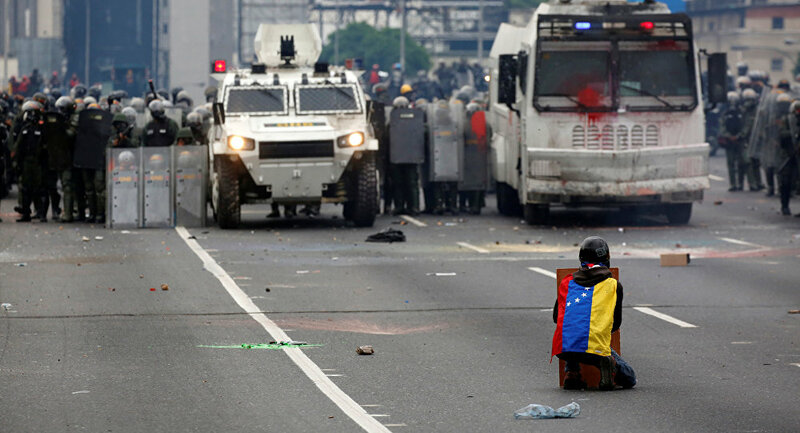 MEXICO CITY (Sputnik) — A total of over 2,300 people were detained in Venezuela since the start of the opposition protests in April, head of the Foro Penal (Penal Forum) non-governmental organization Alfredo Romero said. "2371 detained over protests since April 1, 2017. 730 remain in detention," Romero wrote on Twitter late on Tuesday. In late April, the Foro Penal estimated the number of the detainees as some 1,600. The opposition protests started in early April, sparked by the decision of the country’s Supreme Court to curb the powers of the National Assembly, currently controlled by the opposition. Despite the decision having been reversed almost immediately, the opposition took to the streets, demanding the resignation of the judges and a snap election. According to the latest data, a total of 43 people have been killed in result of the protests.